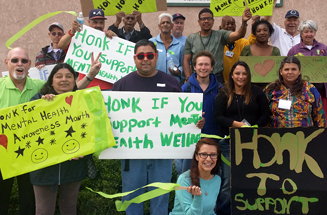 Clubhouses are Peer Support Centers for people with lived mental health experience ages 18 and over. Peers are responsible for the overall direction and operations of the clubhouse with minimal staff oversight. Consumers run various work groups such as clerical, nutrition/cooking classes and maintenance units. The centers also have numerous support groups and social activities that involve peers helping peers in their recovery. The main objectives of the Clubhouse Program include assisting consumers in making their own choices, reintegrating into the community as a contributing member, and achieving a satisfying and fulfilling life.